STMicroelectronics, is exhibiting its latest semiconductor solutions for smart driving at the 9th Automotive World Trade Show in Tokyo, Japan. In line with efforts that aim to eradicate traffic accidents and reduce CO2 emissions, ST is contributing to the rapid progress in car digitalization and electrification. 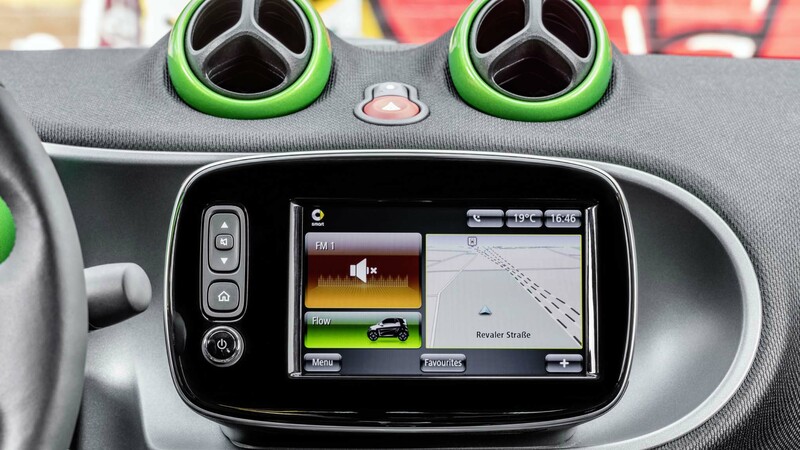 Enabling new trends and technologies like Autonomous Driving, Advanced Driver-Assistance Systems (ADAS), and Vehicle-to-Everything (V2X) communication, ST is helping make cars Safer, Greener, and More Connected. In “Safer Driving”, ST will demonstrate a cutting-edge image sensor it has developed for car cameras that play a vital role in Autonomous Driving and ADAS. The new sensor features High Dynamic Range technology and removes LED flicker. In the demonstration, the sensor captures and displays bright and dark portions of a miniaturized road scene simultaneously. Booth visitors will see a clear image unaffected by the brightness level and the fine flicker phenomenon of LED lighting. These features greatly enhance situational recognition by automotive cameras. For active-safety applications that prevent road accidents, ST will preview the safety combo sensor it is currently developing. This sensor, which will play a vital role in vehicle attitude control, accurately measures the behavior and attitude of a vehicle during sharp turns and on slippery roads and steep slopes. It contains a MEMS gyroscope, a MEMS accelerometer, and an ASIC integrated in one chip, with selectable configuration for each sensor to fit the specific application, such as skidding, rollover, or inclination sensing. ST will also show a high-performance vision processor for ADAS it has jointly developed with Mobileye. The processor constantly monitors the driver’s field of view, enabling vision-based driving assistance including vehicle/pedestrian detection, lane departure warning, active headlight control, and traffic-sign and road-condition recognition. ST will also exhibit its 77/79 GHz radar IC adapted for next-generation functions, such as high-speed adaptive cruise control (ACC), that use high-output, long-distance radar. ST’s radar chip integrates three 77 GHz transmitters, four receivers, and an FMCW (frequency-modulated continuous-wave) modulator in an eWLB package, enabling the design of simple and compact systems at a competitive cost. In “More Connected Driving,” ST will for the first time exhibit a development board equipped with its satellite-tracking IC and a chipset, jointly developed with Autotalks, for vehicle-to-vehicle and vehicle-to-infrastructure (V2X) communication. By fusing V2X and satellite-tracking technologies, this solution aims to ease traffic congestion and reduce traffic accidents. It contributes to location accuracy for vehicles among skyscrapers, in tunnels, and in multi-level parking lots, as well as to the development of new applications such as automatic parking and vacant parking-space detection. ST is prepared for a new era of car connectivity, where automobiles connect to mobile devices and the Cloud. 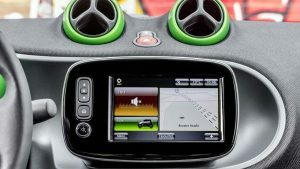 At Automotive World 2017, ST will demonstrate smartphones communicating with the car infotainment system using its Accordo 5. This new automotive application processor enables superior image, audio, and video processing at low cost. ST will also showcase its secure microcontroller that protects cars from network-based threats such as personal-data theft or unauthorized intrusion into the vehicle systems. The product has been certified to Common Criteria EAL5+, an extremely high level of security certification. In “Greener Driving,” ST will show its advanced and efficient SiC (silicon carbide) power semiconductors for hybrid and electric vehicles (HEV/EV). ST’s SiC Power MOSFET, which offers low power dissipation – about a quarter that of an IGBT – can extend the driving range of HEV/EV batteries by 20%. The product also achieves a junction temperature of 200°C, a necessary step in the development of even smaller automotive systems. In addition, ST’s new 650V/1200V voltage-resistant SiC diode achieves the market’s lowest forward voltage drop (VF) to help minimize the power consumption of HEV/EV power converters, simplify their thermal design, and contribute to their miniaturization. Visitors to the ST booth at Automotive World 2017 will also find a variety of other automotive products, including microcontrollers, NFC and BLE (Bluetooth Low Energy) connectivity devices, op amps, and EEPROMs.